This is the kind of "fundamental transformation" that Barack Obama would be proud of. -W.E. 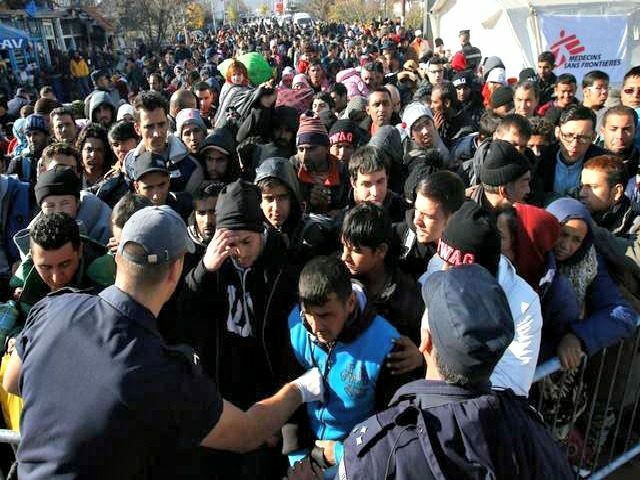 With regards to Middle Eastern migration, Clinton’s 65,000 Syrian refugees would be added on top of the roughly 96,000 Middle Eastern migrants the U.S. resettled on green cards in a single year. Based on the minimum numbers Clinton has put forth thus far, as President, she could potentially resettle approximately 644,000 Middle Eastern migrants during her first term alone. According to a September 2015 Rasmussen survey, women voters oppose Clinton’s Middle Eastern refugee plan by a remarkable 21-to-1 margin. Democrat voters oppose Clinton’s refugee plan by a 17-to-1 margin. Most remarkably, 85 percent of black voters oppose Clinton’s refugee agenda– with less than one percent of black voters supporting her plan. Yet Clinton’s expansion to Muslim migration would be in addition to her expansion for immigration overall. U.S. Census data shows that if a President Hillary Clinton were successful in passing a Gang of Eight-style immigration expansion bill, the U.S. could permanently resettle roughly 9.4 million migrants throughout the nation during her first term alone. This figure does not include the additional 11 million illegal immigrants already here to whom Clinton has promised amnesty and U.S. citizenship. Clinton’s desire to expand immigration is shared by GOP House Speaker Paul Ryan, who leads the pro-Islamic migration wing of the Republican Party. Ryan has championed policies to expand Muslim migration into the United States. Ryan has repeatedly ruled out the possibility of curbing Muslim migration and has frequently chastised his party’s presumptive nominee for advocating policies to reduce immigration. At times, Ryan has even echoed Clinton’s rhetoric in his efforts to denounce Trump and Trump’s proposals. 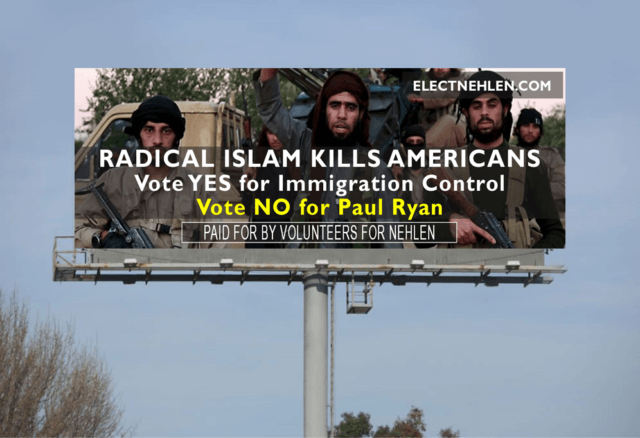 In recent weeks, Ryan has come under fire in his own Wisconsin district for continuing to support Islamic migration, and voting to expand Islamic migration, despite the fact that seven out of ten Wisconsin GOP voters would like a Muslim migration pause. Paul Ryan has a two-decade long history of supporting open borders immigration policies, even though, according to Pew polling data, 92% of GOP voters and 83% of American voters overall want to see immigration levels frozen or reduced. “That is the choice I put before the American people: a mainstream immigration policy designed to benefit America, or Hillary Clinton’s radical immigration policy designed to benefit politically-correct special interests,” Trump said following the Orlando terrorist attack, carried out by the child of Afghan migrants. America has already admitted four times more immigrants than any country on earth, and we continue to admit millions more with no real checks or scrutiny. Not surprisingly, wages for our workers haven’t budged in many years. So whether it’s matter of national security, or financial security, we can’t afford to keep on going like this. We owe $19 trillion in debt, and no longer have options. All our communities, from all backgrounds, are ready for some relief. This is not an act of offense against anyone; it is an act of defense.